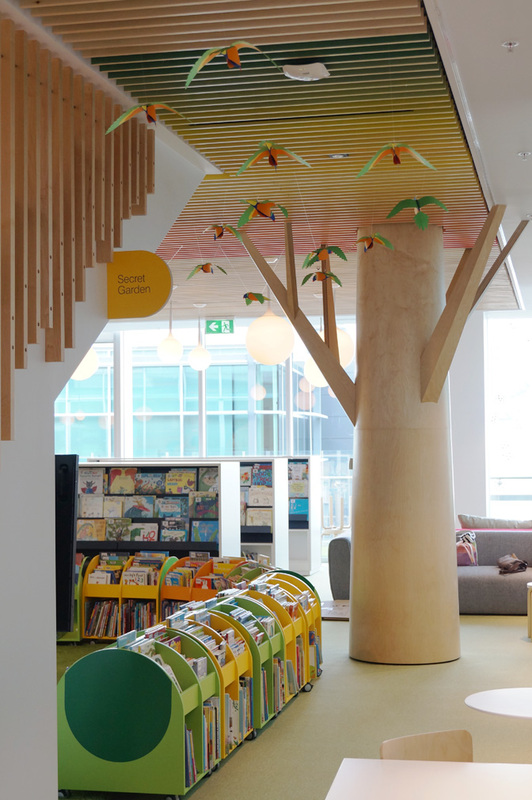 Rainbow Lorikeets installation for the children’s space of the new Woollahra library, Australia. As a very common parrot seen in the surroundings, the cheeky and colourful rainbow lorikeet makes its way inside the library. 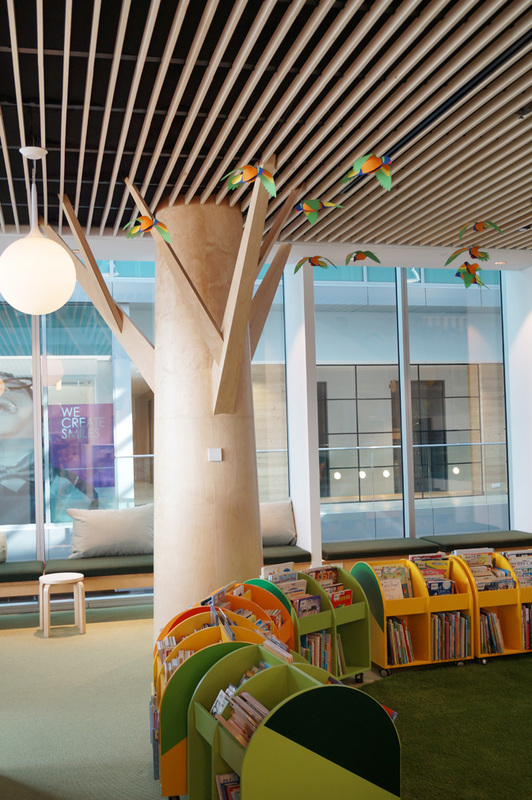 The suspended flock on the ceiling acts as a visual path for the children space called Secret Garden. 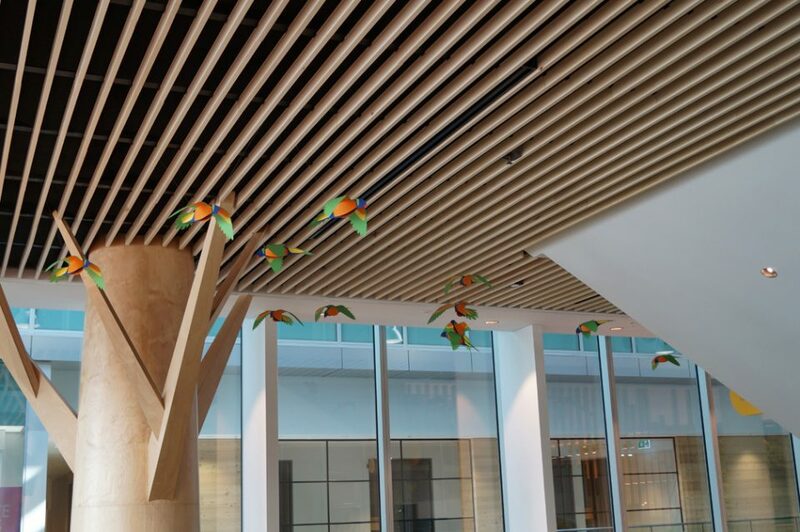 The design emphasizes the vibrants colours of the bird and invites the kids to understand its construction through simple colour shapes. Each bird is 30cm long and 35cm wide. Colours : blue, green, orange, yellow and red.